Okay, it's not a NeXT Cube, but it's the NeXT best thing. Well, second NeXT best thing, after the color model. NeXT was really ahead of its time, especially regarding operating systems. 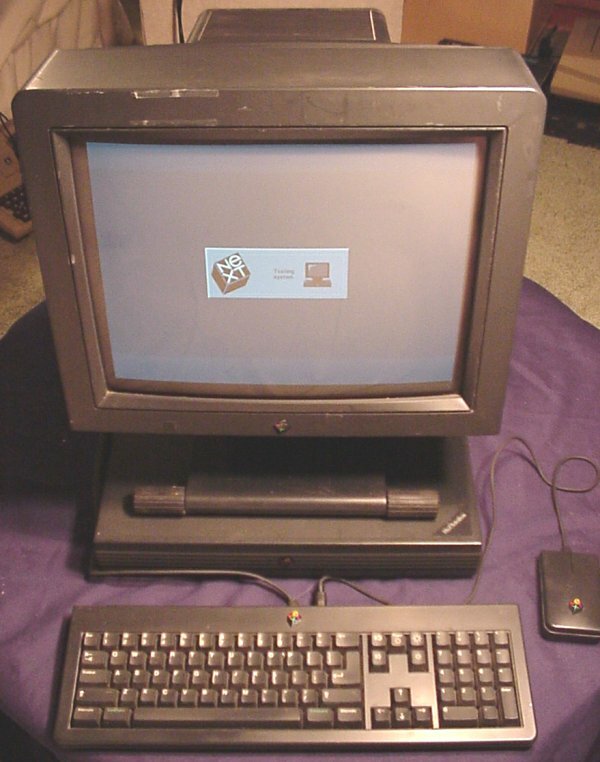 NEXTSTEP was basically UNIX, but a really nice looking UNIX. (Sound familiar? Sound a little like OS X?) This particular box doesn't boot up, so I'll save OS discussions for the color model. But just on the hardware side, you can't help but love the looks of this system. Look at the size of that monitor. (17 inches, I think. and that's over ten years ago.) 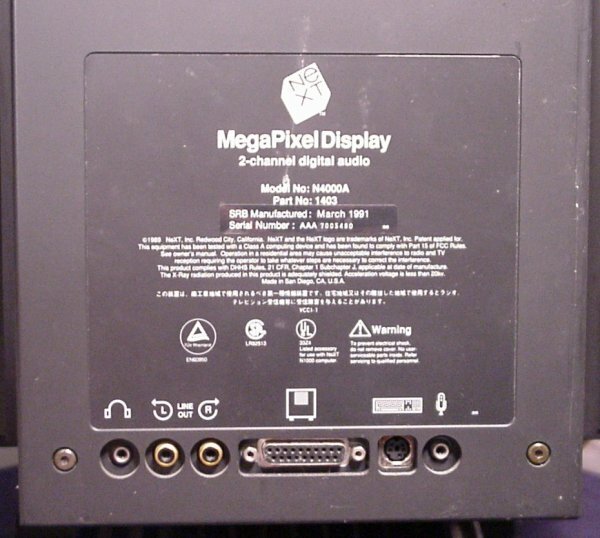 " MegaPixel Display" indeed. Side view of the system. Upon boot, it does a self-test. The self-test never ends unless you kill it, which leaves you at this prompt. It offers a choice to boot via ethernet. So what I should try is hooking it to the color system and trying to boot off of it. 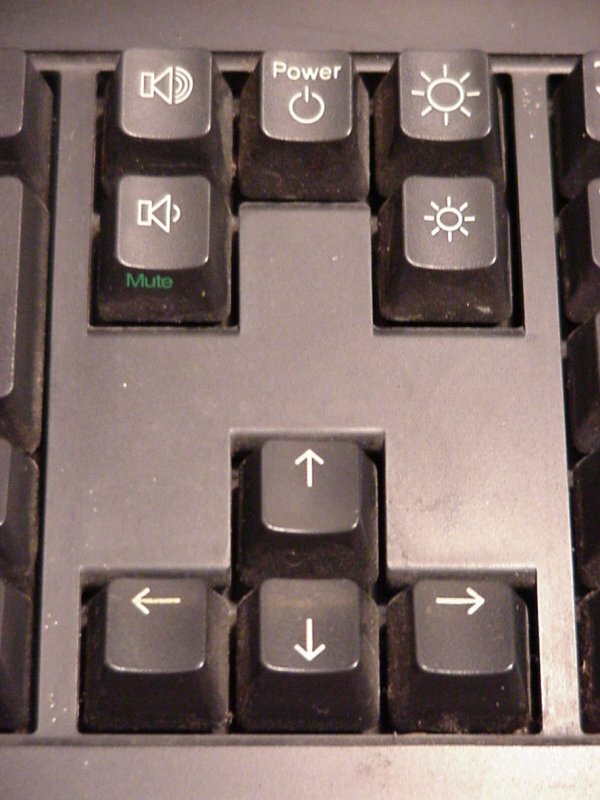 Here's a cool touch, special keys on the keyboard. Power, brightness, and volume are all controlled via the keyboard. Steve loves his logos. The NeXT logo adorns every piece of hardware, from the mouse to the power cables. 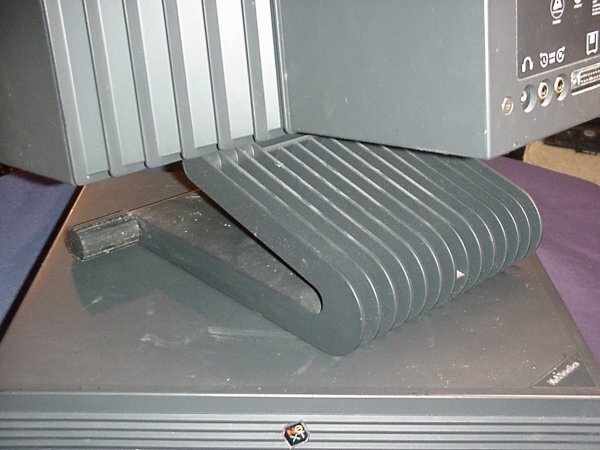 Monitor base. 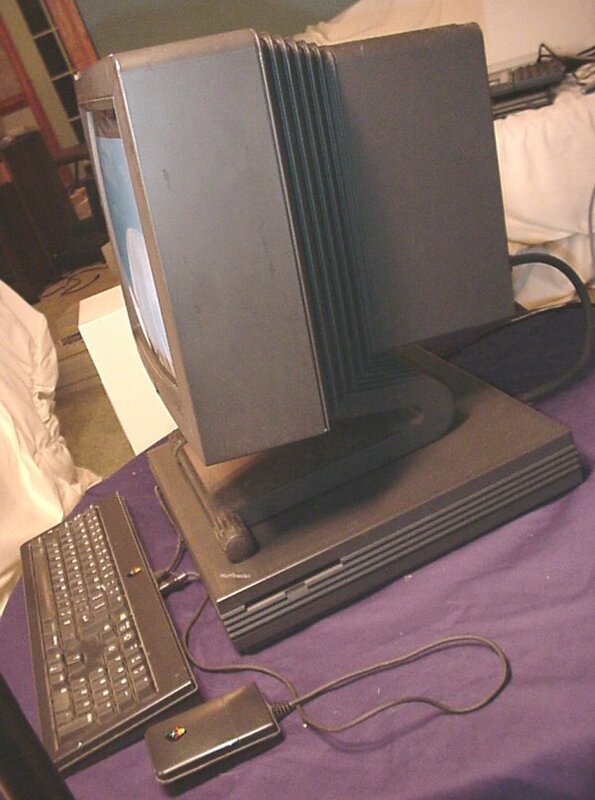 Isn't this just the coolest monitor base you've ever seen? The flash makes it look more grey than it really is. In reality, it looks like a set of major cooling fins. Back of monitor. Signals for audio and the keyboard and mouse are all fed along with the video via a special cable to the monitor. The keyboard and mouse then plug into the monitor. Well, the mouse plugs into the keyboard. This is Steve jobs, after all. Left end of the backplane. Shows ports for SCSI, AppleTalk, and the Digital Signal Processor (DSP). Center of the backplane. 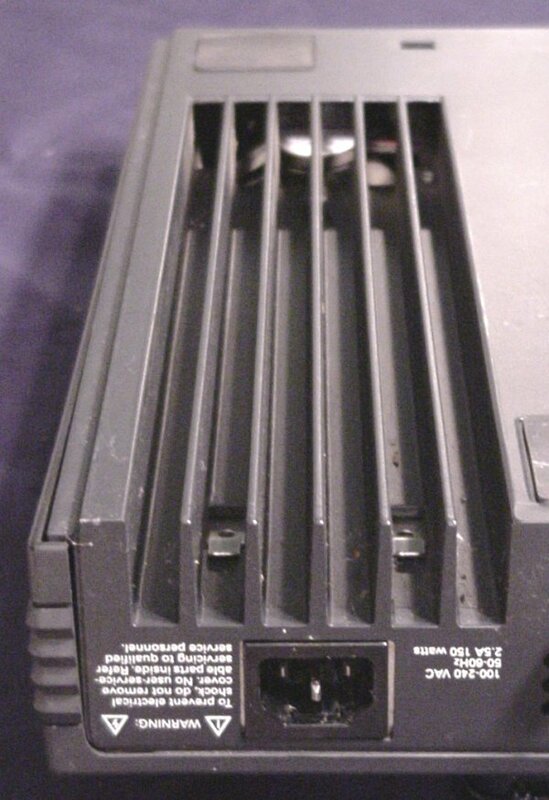 Shows ports for the monitor, serial for printers, and both 10BaseT and Twisted Pair ethernet. Right of the backplane. Shows power and cooling fins. Underside. The cooling fan for the unit is near the front of the box. This channel guides the hot air towards the back. Why? I don't know, but it looks cool. Click here to view all comments for the NeXT NeXTstation and to leave your own. Click here to view comments about other NeXT computers.